Blog posts related to automobiles, vehicles and cars. 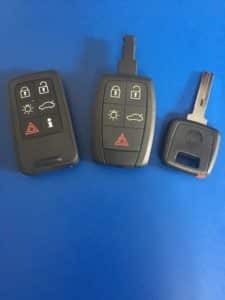 This includes, transponders and high security keys, remotes, fobiks, proximity boxes, ignitions, door and trunk locks. My Chrysler ignition will not turn. 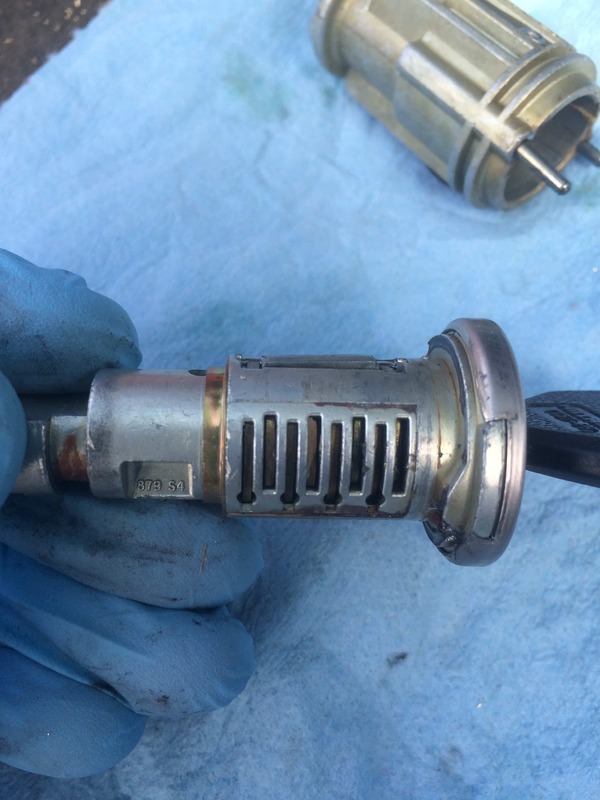 Over the last several months we have received calls with customers having ignition problems on Chrysler, Jeep or Dodge vehicles. 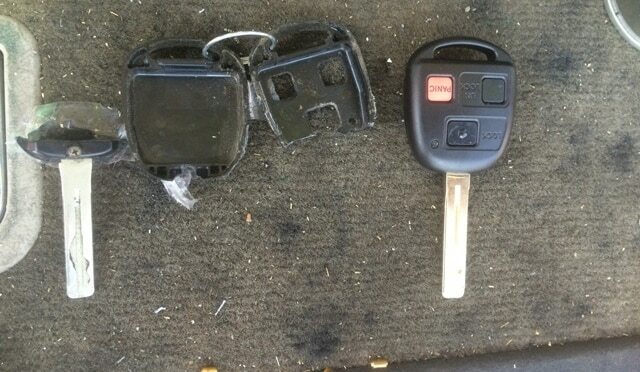 Their typical issue is “my ignition is stuck” or “my key will not turn”. This week we had two and I had finally remembered to take pictures for a blog post. So here it is. 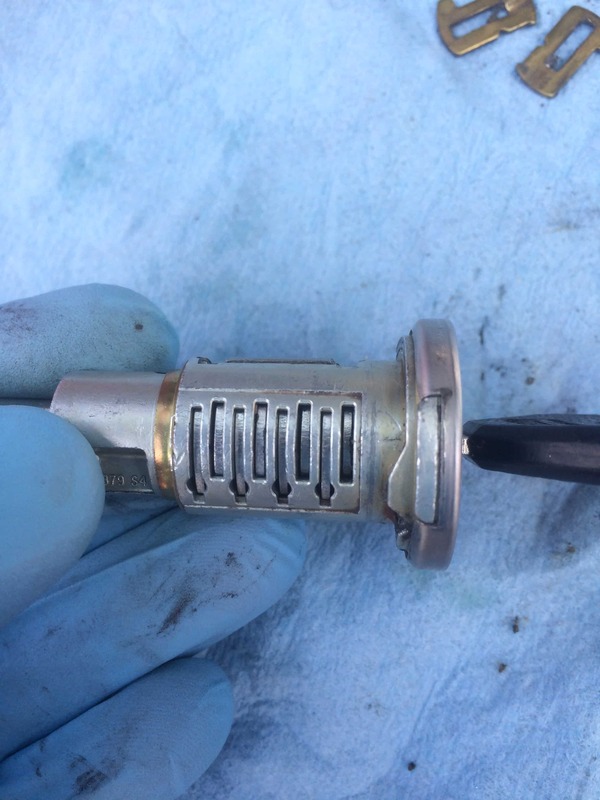 Chrylser, Jeep and Dodge, use an eight cut side bar ignition. This ignition is very common, and regularly gets stuck. 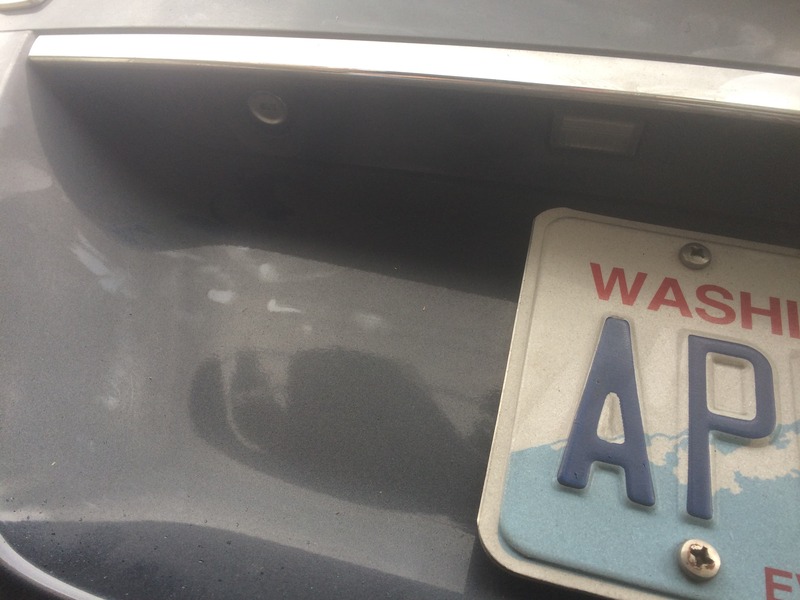 We see it on vehicles from eight years and older. 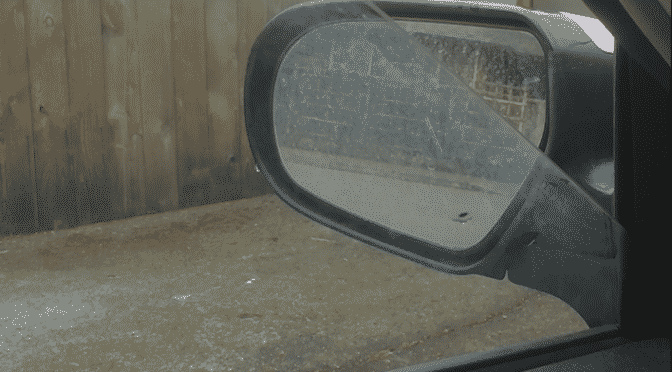 It is not exactly a design defect, but from use. 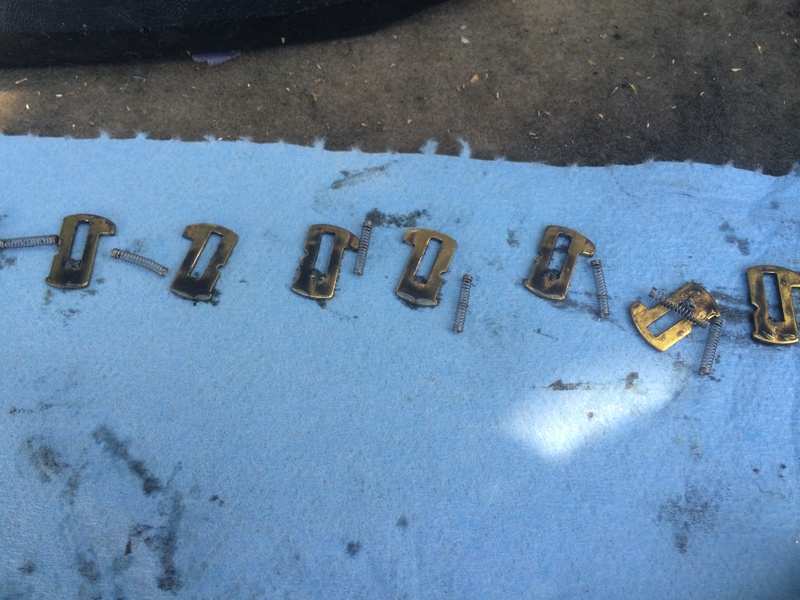 The three key reasons your ignition gets stuck are (a) a worn key, (b) dirt/lint and (c) worn wafers. 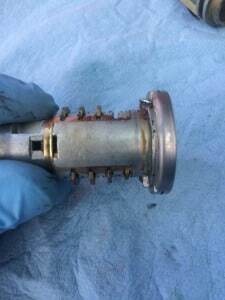 The basic fix is for us to come out, get your ignition unstuck, remove, clean and rebuild it with new wafers and springs. 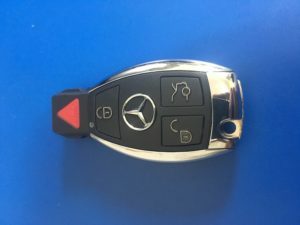 If you key is still making the sidebar stick out, then we need to cut you a new key by code too. Well go through the hole process here. 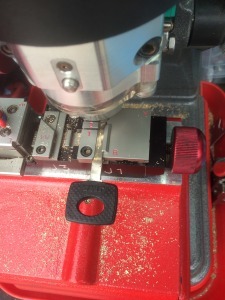 The first step is getting your ignition unstuck by manually going in and moving the wafers back into position. 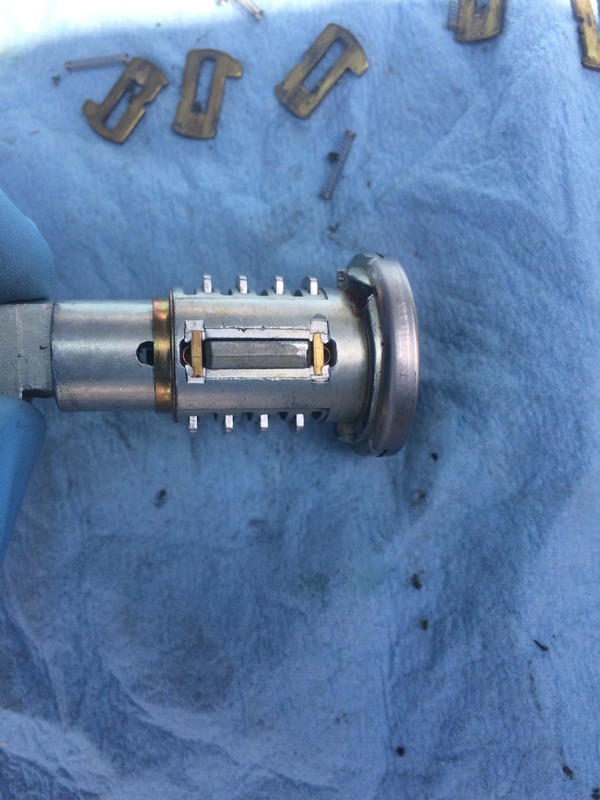 Once the wafers are in position we can turn the lock to the on position in order to depress the ignition cylinder retainer. On rare cases with multiple (I have seen three) wafers are stuck, we need to drill into the ignition housing to depress the sidebar directly. Here is a picture of the ignition cylinder and housing removed. Once we have the cylinder out you can see the front 1-3 wafers (right side) being stuck down. Compared the the wafer 3-8 which are higher. See picture here. With the ignition cylinder removed we then remove all of the wafers and springs. Looking closely you can see the grime build up inside the wafers. 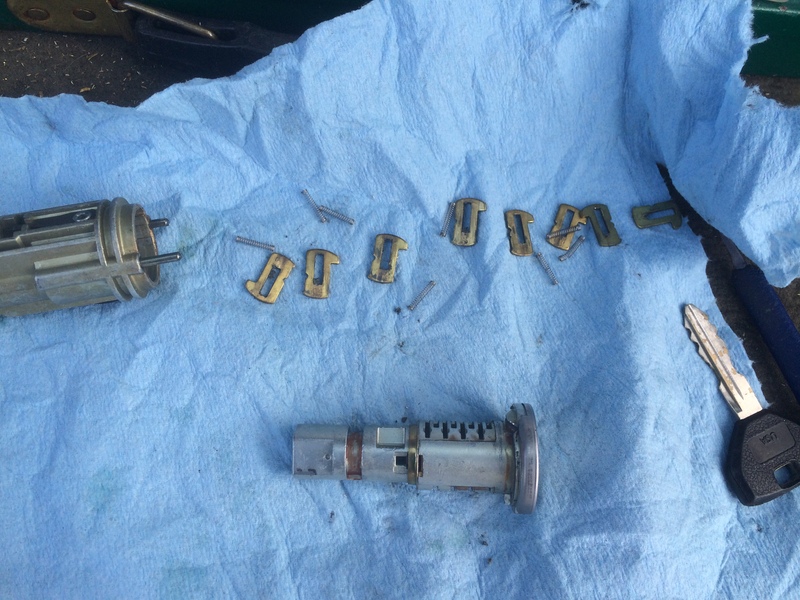 Also here is a picture of the ignition lock cylinder, housing, wafers, springs and key taken apart. 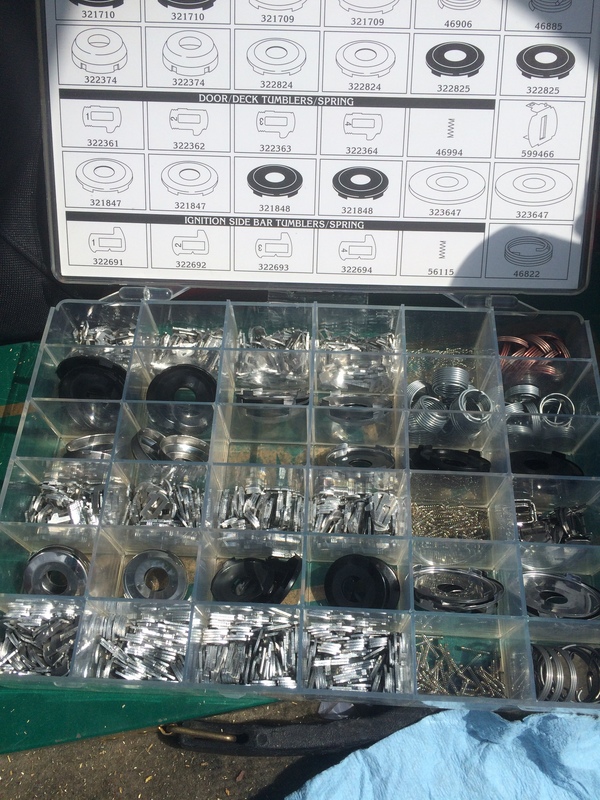 After cleaning, we put brand new springs and wafers into the lock using a Chrysler keying kit. Notice how the new shiny wafers all pop up to the same level now. Compare to the stuck wafers picture above. Here you can see the side bar that is poped up on one side, compared to the rebuilt cylinder where the sidebar is flush. The side bar need to be flush in order for the ignition cylinder to turn. The last step is to check the existing key in the new rebuilt cylinder. If the key rocks and the side bar can pop up, causing the cylinder to have difficulty turning, then a new key by code needs to be cut. 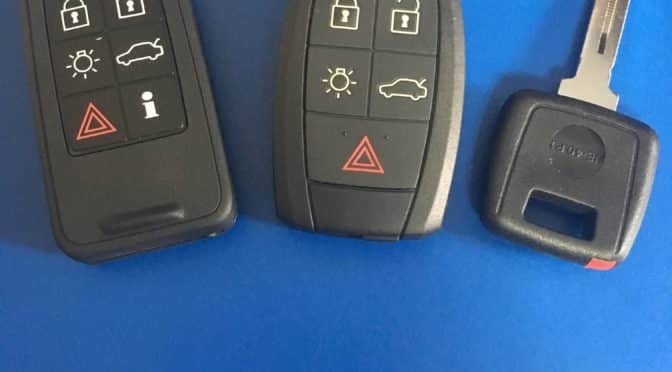 Now if your Chrylser, Jeep, Dodge or ignition is stuck or won’t turn, you can understand what is going on, and how we can fix it for you. As always, we hope this is insightful for you and if you need help give us a call at 541-632-3968. Damaged Ignition Cylinder Or Broken Housing Gears? 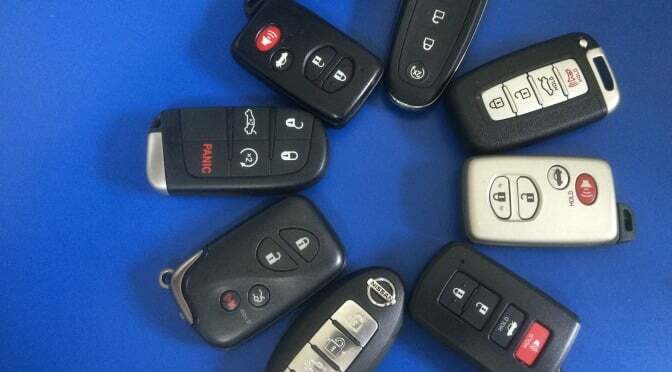 Has your key all of a sudden stopped turning in your ignition? This happens occasionally and there are a few different events that could have caused it. 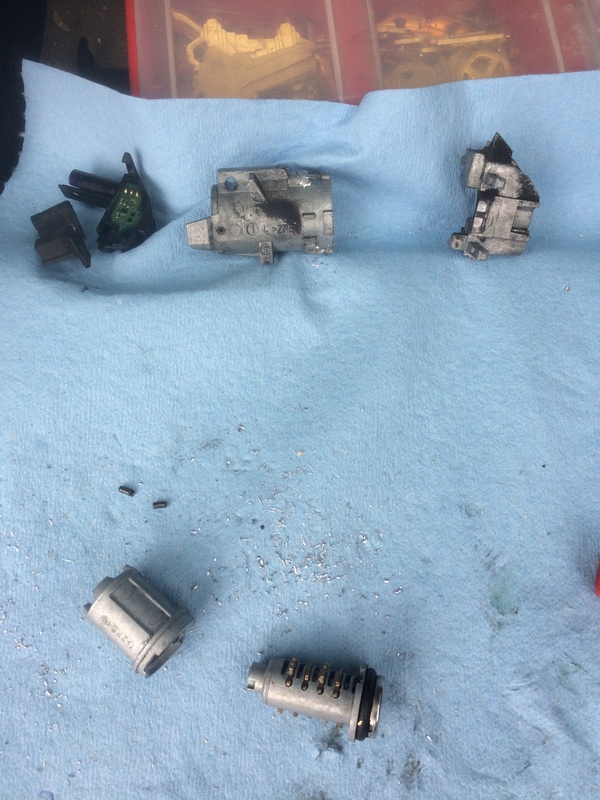 The most common reasons ignitions all of a sudden stop turning are (1) stuck wafers, (2) broken wafers, (3) exploded spring caps and (4) broken ignition housing gears. 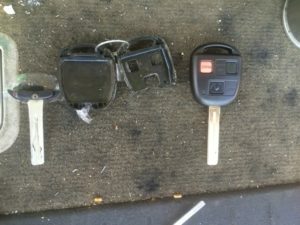 This specific blog post is going to discuss scenario (4) broken ignition housing gears. But first let’s quickly cover the first three option. 1) A stuck wafer can typically be unstuck. Then we remove and clean the cylinder and wafer. 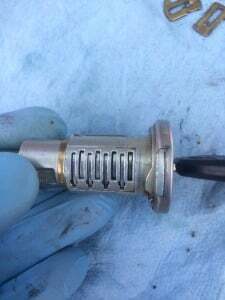 This is common in Chrysler ignitions. 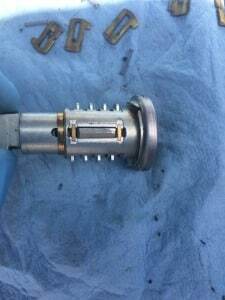 2) A broken wafer typically requires the ignition to be drilled out and the wafer or lock cylinder to be replace. 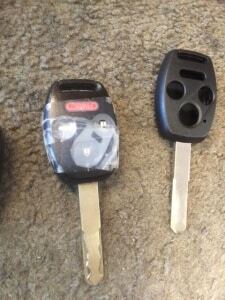 This is common in high security Honda 4 tracks. A different article will be devoted to this topic. 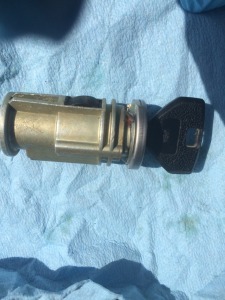 3) Exploded Spring Caps: if we can remove the cylinder without damage we can replace. More often than not we need to drill it our and replace. Ok now, for scenario (4) a broken ignition house gears, lets start with the symptoms. 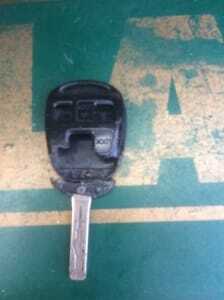 The key and ignition all of a sudden stops working. Now, typically, we can check the first three options first. Here is the catch, when the lock is in place, we cannot always tell if it is one of the first three scenario’s or the last one. 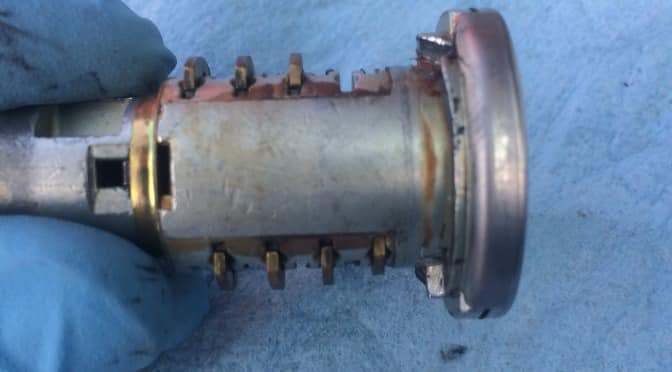 We have to first remove the ignition cylinder from the housing to separate and see if the problem is in the key and ignition cylinder or if it is in the ignition gears in the housing. So, once the lock is removed, if the key and lock cylinder does not turn, it is more than likely the first three scenario’s. 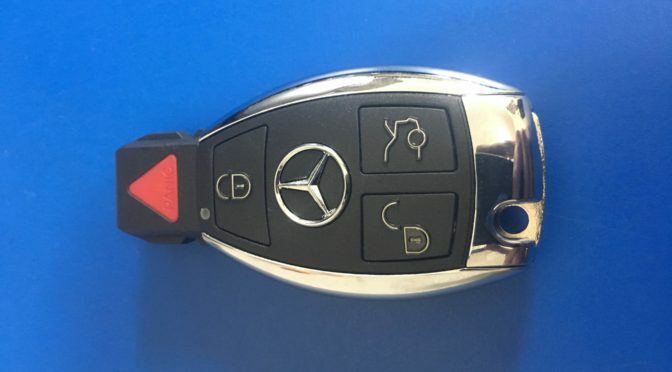 If the key and cylinder do turn outside the housing, than it is likely the ignition gears in the housing. We can check the ignition gears manually. If the ignition gears in the housing are broken or jammed, the ignition housing has to be replaced. If this is the case, this job just became outside our normal scope of work and competency and we recommend you take the vehicle to an auto mechanic or dealer to replace the necessary parts. The good news it that your existing key and ignition cylinder still work and are available to put pack in with your new housing. We have seen ignition gears break or stick on GM’s and BMW’s. 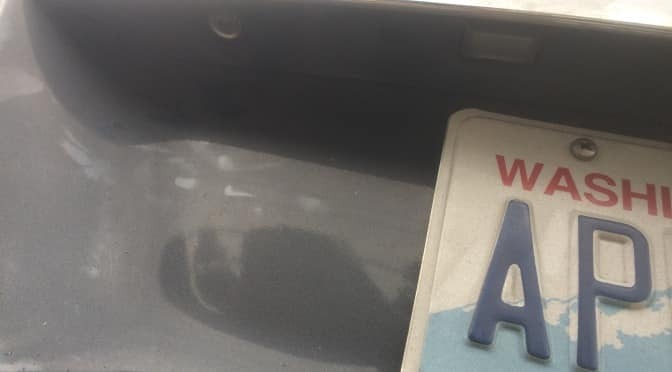 It is also possible to happen on other vehicles. We realize this is a very specific situation and scenario and hope it helps the few who need to understand it. Stay turned for more about scenarios 1,2 & 3.